If you have ever really thought about the world that is computerized--ours--this book should resonate with you. Nothing is safe--nothing is sacred. His co worker sees him and convinces him to go back to the office-he was contemplating that anyway because he had some cash he had been collecting for his daughter's Brownie troop. Then they start looking and James has been set up--all his records at the company have been changed--AND he realizes that money is being siphoned off from every account everyway and sent somewhere else. This book has me thinking and quaking in my sandals!! Dave Buschi is the author of THE BACK DOOR MAN, a bestselling technothriller that has also been published in French and German. His Marks and Lip series, PROPORTIONATE RESPONSE and INSIDER X, are two high-tech cybercrime espionage thrillers that could have been ripped straight from the headlines (except Buschi wrote the books first!). REALITY RECODED, a high-tech sci-fi thriller, is his latest work. 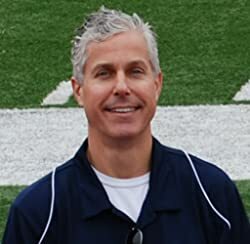 Buschi lives in Milton, Georgia with his wife and boys. Oh, yeah, he'll figure it out and save the day. He has to because the idea of this kind of a disaster happening frightens the heck out of me. This sounds like a really good book that will leave people reading til they hit the last page. Technology is great until it gets in the hands of people with bad intentions. Sounds like quite a read! This sounds like a book I would really love to read! Technology is really scary, but can be so useful. 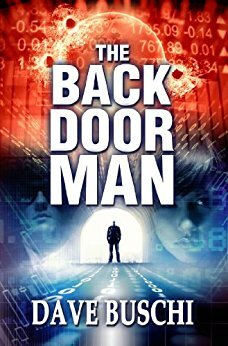 (The Back Door Man Review) I liked reading this the most about hid book; We see it through the eyes of James Kolinsky, a simple family man who works in information security. His day goes from bad to worse when he discovers that his greatest fear is his fault and what’s happened to him has happened to millions of others. I love the cover on this book. The book sounds very interesting. This sounds like an interesting concept for a book.